SpareRoom is the UK’s number one flat and house sharing website. 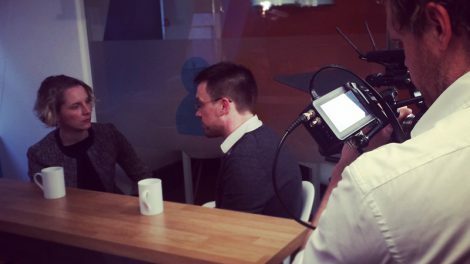 The dot com company approached us in February with a brief to produce a series of videos, giving their 5 million users the opportunity to quiz politicians on housing issues, ahead of the 2015 General Election. Our client was keen to involve their customers, so we suggested a creative treatment of using user generated content (UGC), including briefing contributors on how to film themselves on their smartphones. They then sent their video clips to us so we could edit the questions and present them to our parliamentary candidates on a tablet. There were core themes suggested by contributors, which formed five videos; Letting agents’ fees, Rent controls, Getting on the housing ladder, Standards in rented properties and Affordable housing supply. 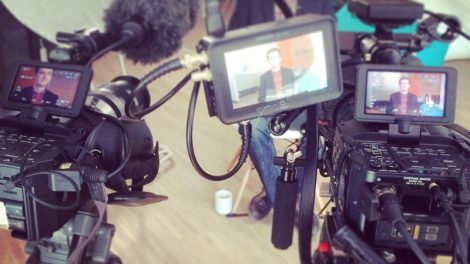 We also wanted to film short sit down conversations between SpareRoom’s Matt Hutchinson and each candidate for an additional ‘In Conversation’ strand of videos. We set up our studio in SpareRoom’s lofty meeting room in Central London for two days, with our guests talking straight into the camera, in a video diary style format, whilst a second camera recorded a tighter shot, allowing for smooth cutting between contributors in the edit. The logistics of filming requires a lot of preparation behind the scenes, securing each spokesperson for just one hour each meant we had to plan the camera and lighting setups very carefully. When each contributor arrived we needed to brief them, allow time for hair and make-up, before then carrying out two sets of filming. If you’re contemplating using video content as part of your marketing strategy, get in touch. We’d love to start a conversation with you. Subscribe to our newsletter to receive industry news and our updates.